A bone doctor (also referred to as an orthopedist) is the first person you should turn to for concerns regarding your bones, joints, muscles, and ligaments. If you’ve been experiencing issues with your skeletal system, you can feel comfortable placing your trust in Tahoe Fracture & Orthopedic Medical Clinic — each bone doctor at our Reno, Nevada, office has the knowledge and experience necessary to effectively diagnose and treat your condition. Physical therapy — Many of our patients have found relief through a course of conservative treatment, often including physical therapy. If our bone doctor recommends that you begin working with a physical therapist, you can do so without even having to leave the building. We have multiple physical and occupational therapists on staff who can help you with your recovery. Surgery — In the event that you do require surgery to treat your condition, we have an outpatient surgery center available, and we also have multiple orthopedic surgeons on our team. Rehabilitation — Our team includes rehabilitation specialists who can assist you during your treatment and recovery. We also have physician assistants and nurse practitioners on staff to help you throughout the process. 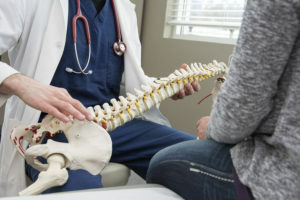 If you would like to make an appointment with a bone doctor or other specialist at Tahoe Fracture & Orthopedic Medical Clinic’s Reno, NV, office, please call us today. Our caring staff can provide you with more information and answer any questions you may have prior to your appointment.